It’s demo day and there’s no going back now…hopefully I’ve made the right choice ha ha. You can check out more before pics and the plan here. 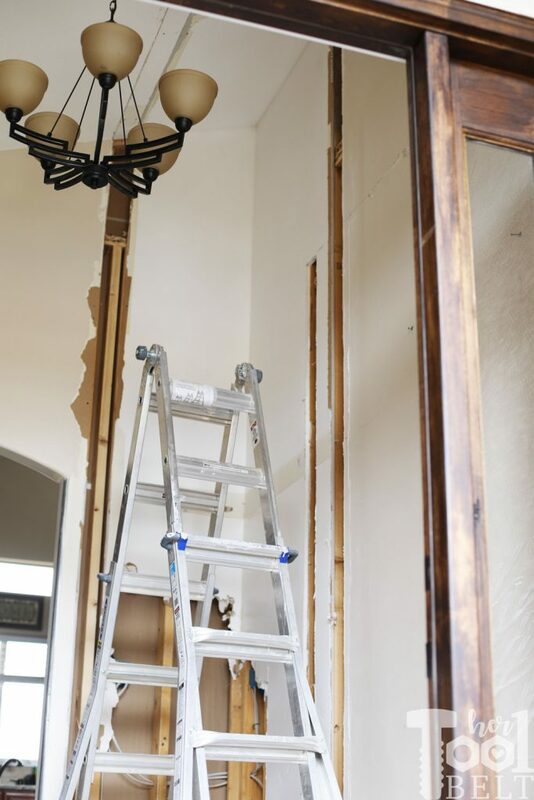 I started the demo by removing anything that I wanted to save like the door and moldings. I want to save and reuse as much molding and baseboards as possible, hopefully I won’t need to buy any more. 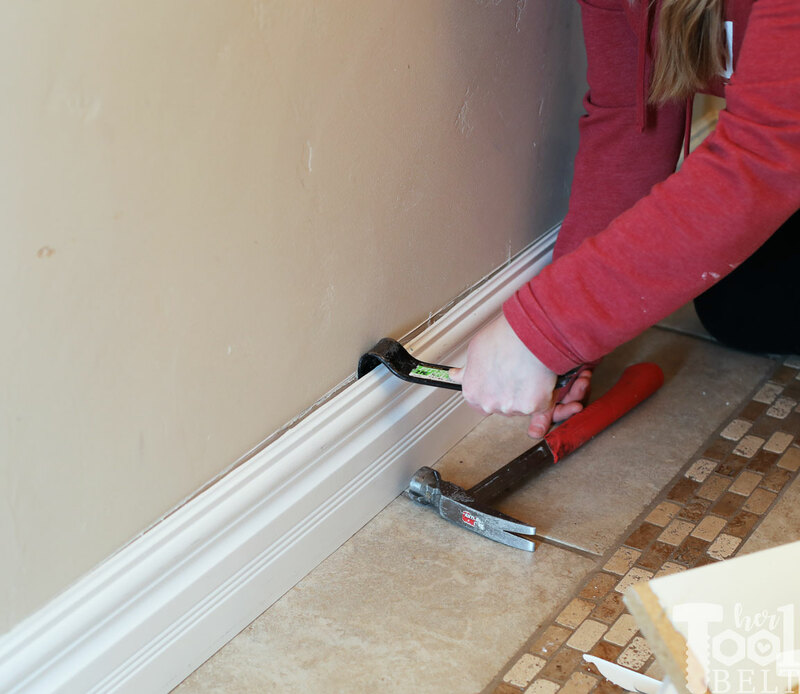 First you want to break the caulk bead between the wall/floor and molding. This should help to not rip up drywall when pulling the molding off. A sharp utility knife works great for this job. 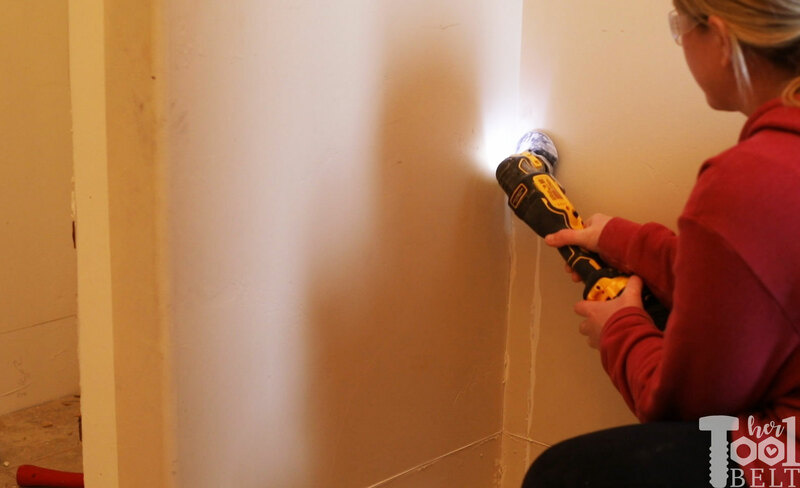 Then lightly tap a wonder bar (prybar) between the molding and wall then pry back sliding along the molding until it comes off of the wall. 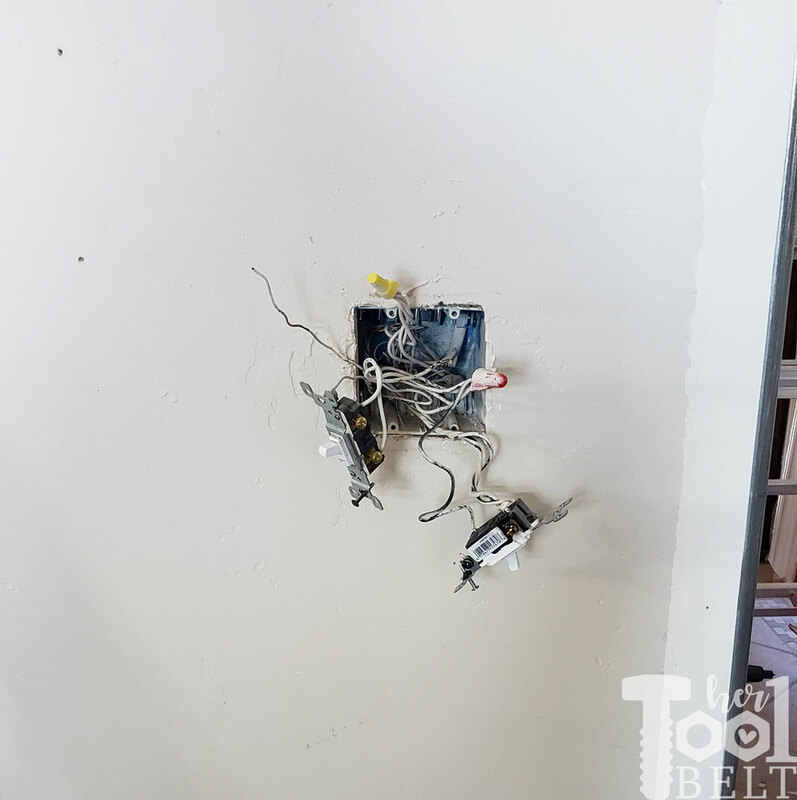 I cut into the drywall with an oscillating tool to see what was there. Then used a reciprocating saw to cut things loose from the main walls. 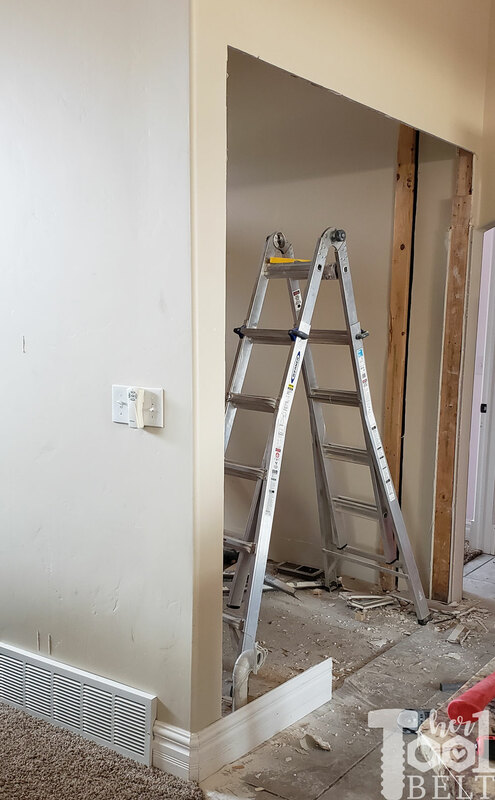 The closet wall actually came off pretty easily and I was able to remove almost the whole thing in one section. 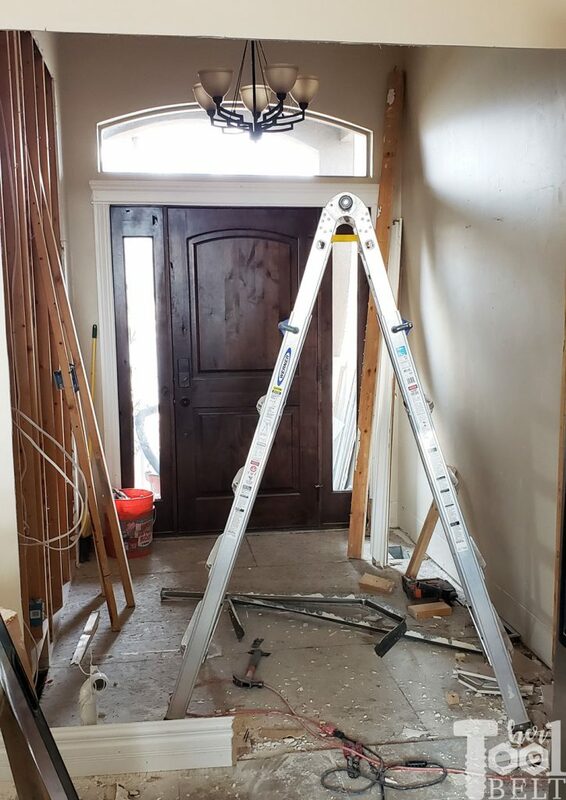 I measured and removed drywall only where the door opening would go to eliminate extra work. 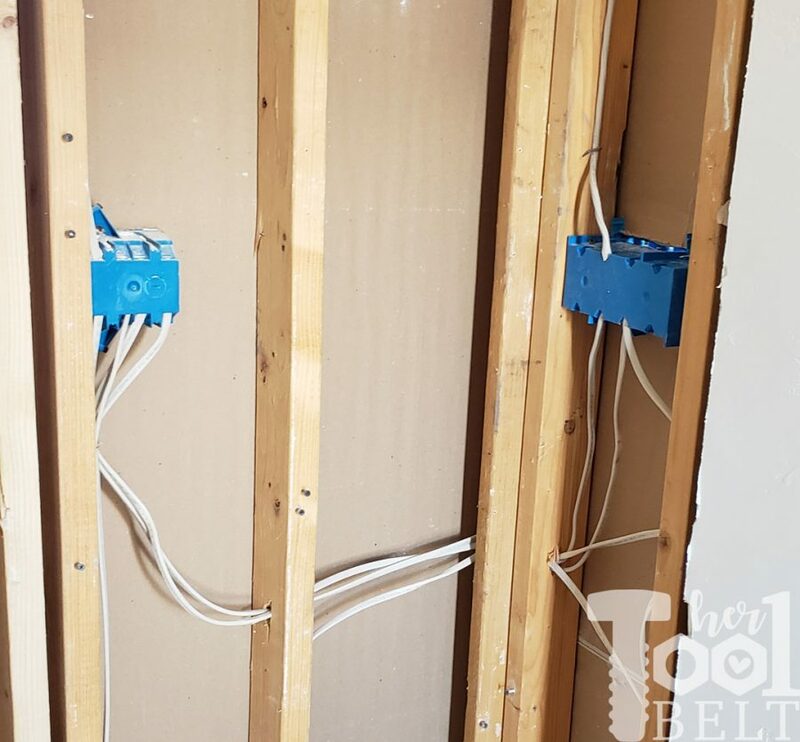 Once the walls were open it was time to move around some electrical. I have quite a bit of electrical experience from working on the farm, so moving electrical wires doesn’t scare me. However I was dealing with 3 ways, junctions and remote switches. They can boggle your mind :-). 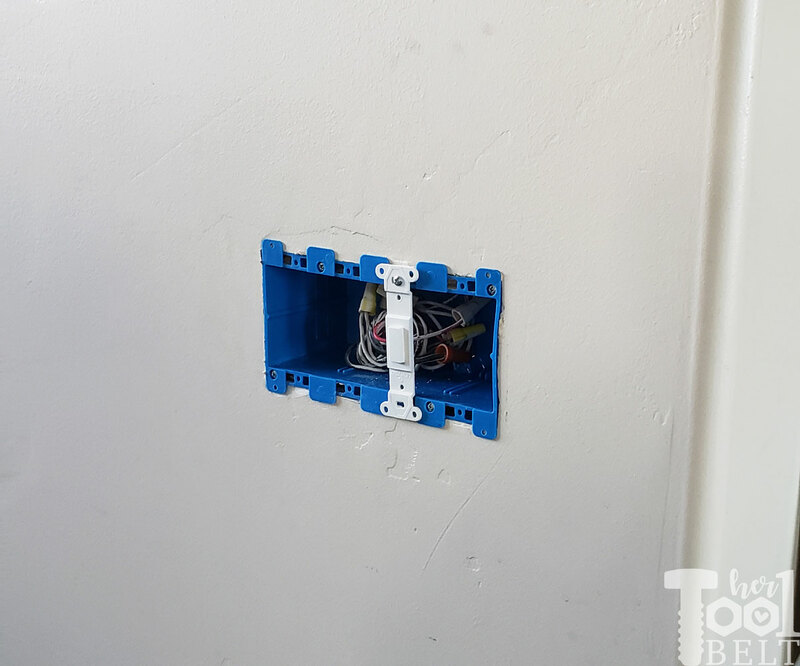 To keep things straight, I used different colored markers and marked the wires and the location on the switches. This really helped me keep things straight and wire things in the correct spot on the first try. I basically combined two 2-gang boxes into one 4-gang box onto the wall that was staying. backside (the wall on the left side it going). 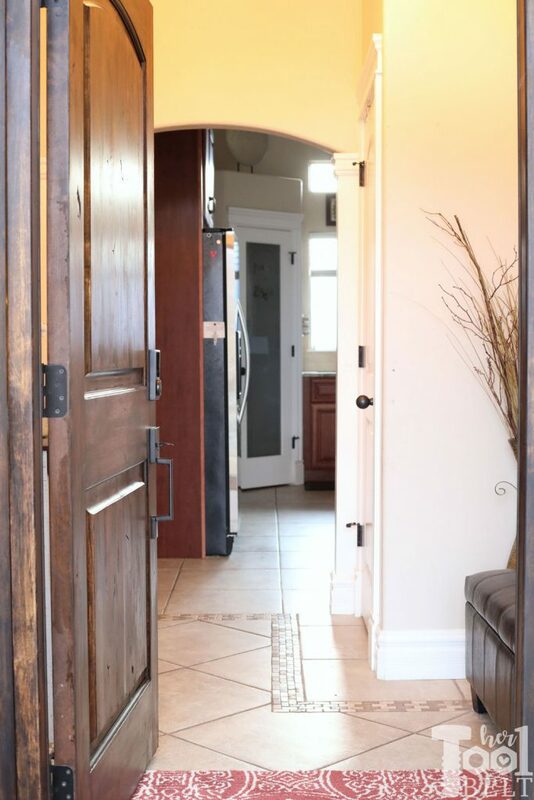 I also had to run wires up and over the new entryway door. Can someone please invent a wire stretcher, ha ha J/K. 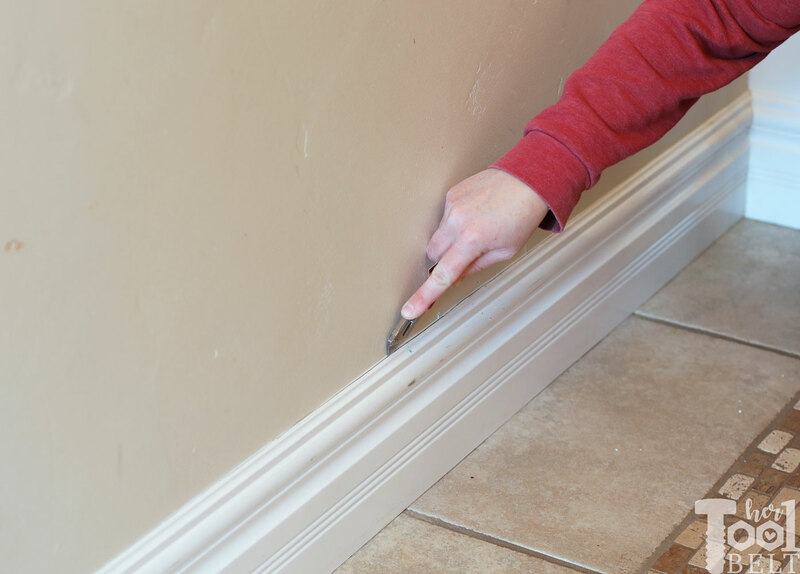 Pliers to remove staples, if you have cement board you will probably need a drill to remove screws. 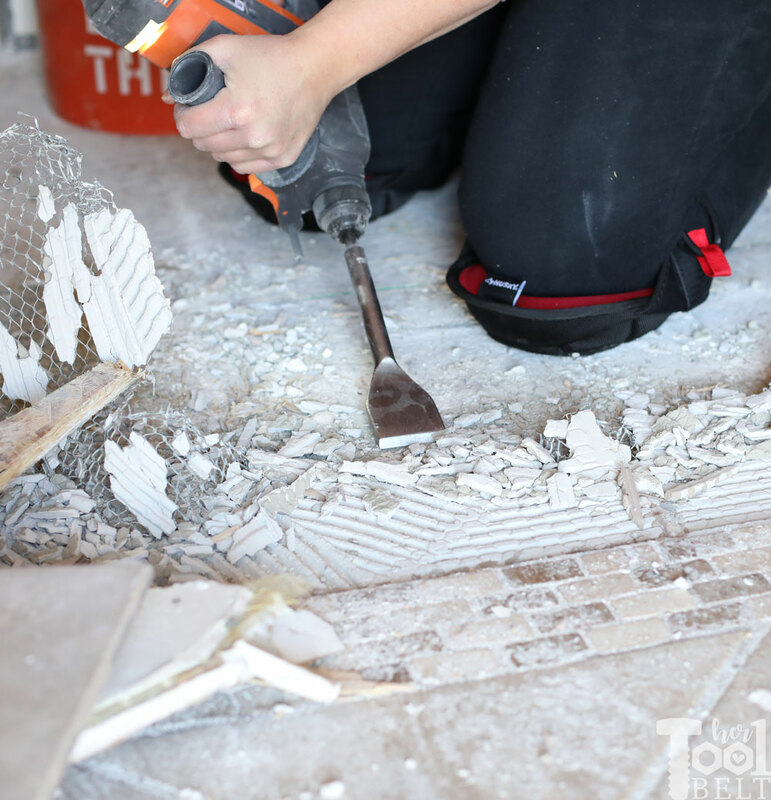 Removing the old tile would’ve been a very bad job if it wasn’t for this Ridgid rotary hammer and tile chisel. It wasn’t a particularly fun job with the rotary hammer, but it made the job go much much faster. 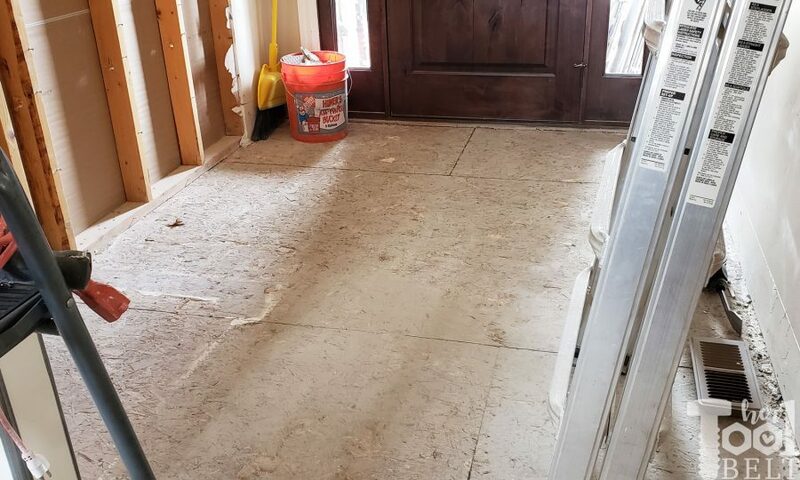 I was able to remove about 60 sqft of tile in a few hours. The Ridgid rotary hammer has 3 modes hammer, drill and chisel mode. Hammer and drill modes rotate like you would think a drill would. Chisel mode oscillates back and forth, that’s the mode you need. It was a little tricky getting the chisel angle just right, but once you got under the cement bed at the right angle it was golden. 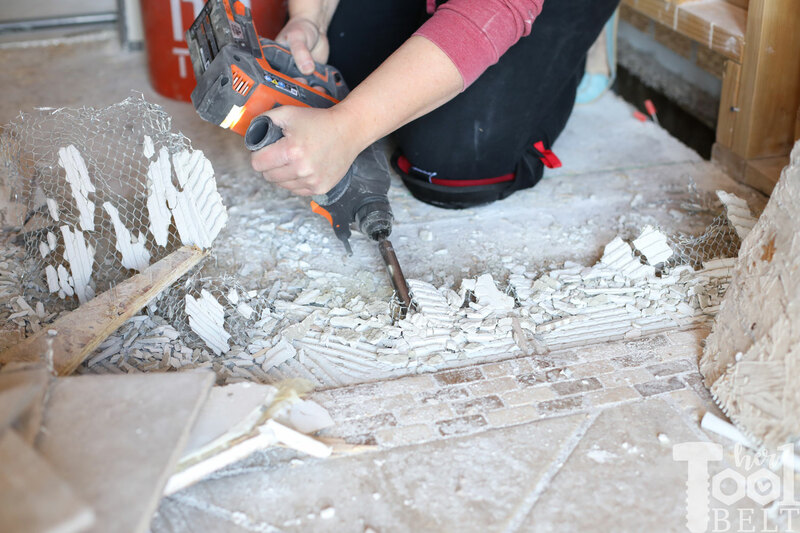 In some places it was easier to chisel up the tile first then the mesh cement bed. In other places it seemed easier to get the mesh and tile at once. Gloves were a must for pulling up the metal mesh, and there were about a billion staples that held the mesh down. Some progress done! Woot woot!